During my 12 years of teaching yoga and Pilates, there have been a few students in every class who have problems with weight bearing in hands due to lack of flexibility and discomfort in the wrists. It was not until I began practicing MAT (Muscle Activation Techniques) and attended the Wrist and Hand Mastery level program in Denver that I realized the impact our wrists and hands can have on our entire body. What an eye opener!! What do the wrists and hands do? The wrist contains some of the most highly utilized joints and muscles in the body. The muscles are essential not only during exercise but also for day-to- day activities such as grip, balance and control of fine motor skills. The wrist complex creates a stable base for control of the muscles and ligaments, which create the precision of movement in the fingers, and formation of grip. These fine motor movements cannot be recreated by, or replaced by compensation of shoulder, elbow or forearm. This area is also one of the most complex. 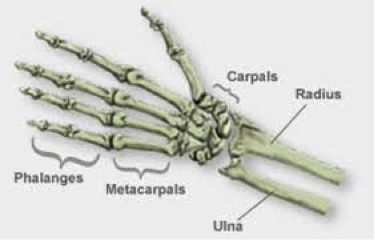 There are 29 bones in the wrist and hand, including the radius and ulna. Based on its structure, it permits movements in all three planes; extension/flexion, ulnar deviation/radial deviation, pronation/supination. What happens when wrist function doesn’t work well? Optimal wrist function in all three planes requires stability of the carpal components in all joint positions under static and dynamic conditions. 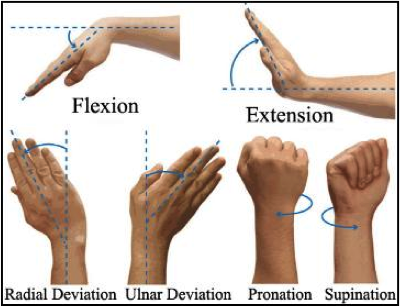 A loss in Range of Motion in any of these planes of movements can translate in to a loss of strength and movement in the hand and fingers, diminishing grip and dexterity. If left untreated, these imbalances may eventually cause problems up the chain in the elbow, shoulder and neck. Carpal tunnel syndrome, golf elbow or tennis elbow, to name a few, are ailments which could be caused by an imbalance of muscular function. At home or with clients, using isometric exercises is a great way to increase range of motion and strength in joints. If you’re not familiar with how to use isometric exercises, stay tuned an upcoming article. We’ll walk you through the process. I may be biased, but I’ve found MAT to be the best process of both evaluation of movement and treatment which can bring muscular function back in to balance. If your muscles are not working evenly on both sides, MAT will test that and then the imbalance is evened out. I would be happy to share my new knowledge and techniques with you at Body Harmonics. Just contact the front desk to book a session. Looking forward to the follow up article!